After the huge success of the recently launched Rocket League, Psyonix is already gearing up to release the first two DLCs for the game. 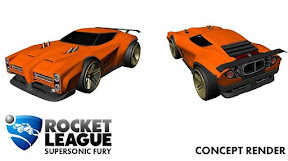 With the new paid DLC Pack Supersonic Fury you get for the PC and PlayStation 4 version two new vehicles. As you can unlock in the main game all Battle-Cars. The new car is a sports car and a muscle car, which expand the diverse vehicle fleet addition. However, these vehicles don’t have statistical advantages over the other cars in the game. You can also learn more about this in Battle-Cars differences between the vehicles. While new cars and objects are to be found in a paid add-ons their way into the game, developer Psyonix will periodically supply Maps free for all players later. 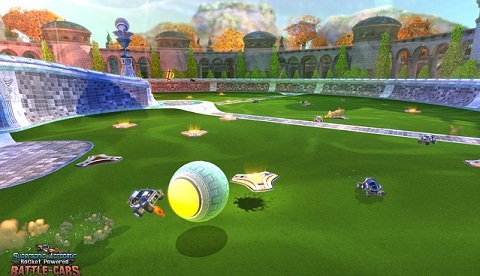 I'll begin with an inspired from the Utopia-Map from the predecessor SARPBC Map, must be kicked on the future. 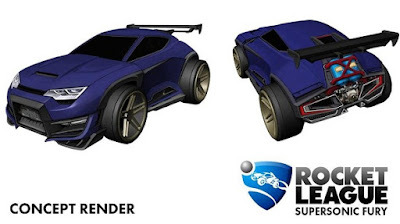 In addition, the developers promised on the official forum with the pearlescent paint new design in the first DLC.